In the early years of the new millennium, hurricanes lashed the Caribbean and flooded New Orleans as heat waves and floods seemed to alternate in Europe. Snows were disappearing on Mount Kilimanjaro while the ice caps on both poles retreated. The resulting disruption caused to many societies and the potential for destabilizing international migration has meant that the environment has become a political priority.The scale of environmental change caused by globalization is now so large that security has to be understood as an ecological process. A new geopolitics is long overdue. In this book Simon Dalby provides an accessible and engaging account of the challenges we face in responding to security and environmental change. He traces the historical roots of current thinking about security and climate change to show the roots of the contemporary concern and goes on to outline modern thinking about securitization which uses the politics of invoking threats as a central part of the analysis. He argues that to understand climate change and the dislocations of global ecology, it is necessary to look back at how ecological change is tied to the expansion of the world economic system over the last few centuries. As the global urban system changes on a local and global scale, the world’s population becomes vulnerable in new ways. In a clear and careful analysis, Dalby shows that theories of human security now require a much more nuanced geopolitical imagination if they are to grapple with these new vulnerabilities and influence how we build more resilient societies to cope with the coming disruptions. This book will appeal to level students and scholars of geography, environmental studies, security studies and international politics, as well as to anyone concerned with contemporary globalization and its transformation of the biosphere. "Through his profound knowledge of the environment and critical understanding of traditional approaches to security, Dalby provides an impressive account of the 'defining challenge of our time'." 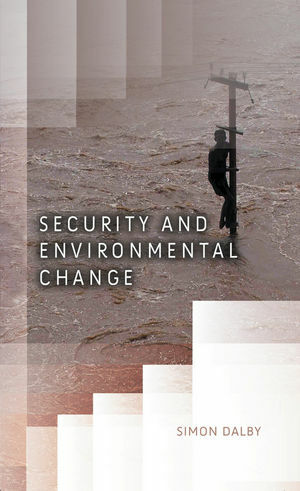 "A must-read for anyone interested in the security and environmental change relationship." "(An) outstanding and original book. Dalby's message about sustainable security needs to be read widely in universities, and by activists and practitioners." "Our competitive, hyperconsuming, and carbon-fuelled world is unfair and unsustainable. Bringing together geopolitics, ethics and earth sciences, Simon Dalby offers one of the best essays for rethinking security in the Anthropocene, this new human-made geological age. If the deadliness of past revolutions seeking to bring about a 'new man' calls for caution, security in the Anthropocene needs, literally, new ways of being human in our fast changing biosphere." "Simon Dalby has written a comprehensive and politically sensitive analysis of environmental security today. It takes the reader well beyond simply mapping how the environment is related to security questions, and whether securitizing the environment is politically desirable. The book makes a strong case for rethinking both the meaning of security in light of the human impact on ecology and the sustainability of modern distinctions between culture and nature, urban and rural, and science and politics. It is a most original and provocative read. "Simon Dalby combines rigour and originality with impressive knowledge of ecological systems and a critical understanding of traditional approaches to security. The end result is an integrated analysis of the human predicament in an age of rapid environmental change. Security and Environmental Change is a seminal contribution to the development of the concept of sustainable security."